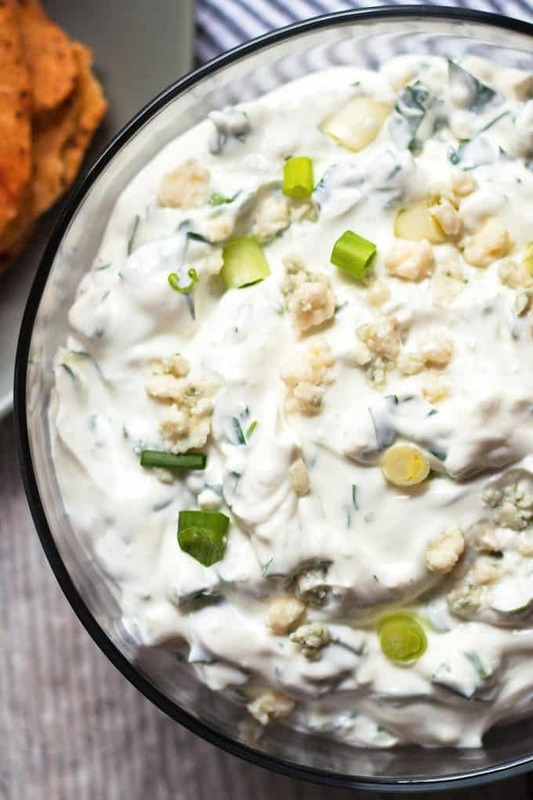 This creamy blue cheese dip is perfect for your next party or holiday gathering. Serve it with flavored tortilla chips or vegetables! I have been a fan of blue cheese forever. There is something about the tanginess that I love. Sometimes I even say it is the best cheese. Many people don’t like cheese because they think it is smelly but I think that is what makes it so unique. 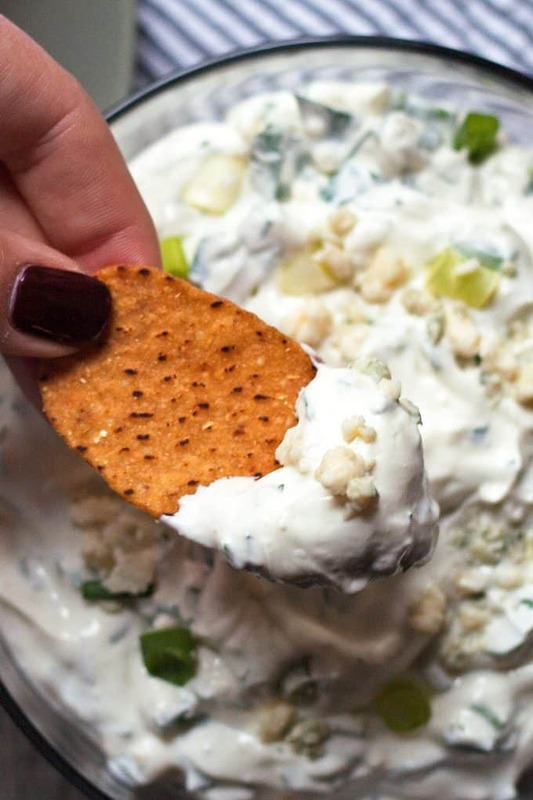 If that is how you feel about blue cheese, this easy dip is the recipe for you. 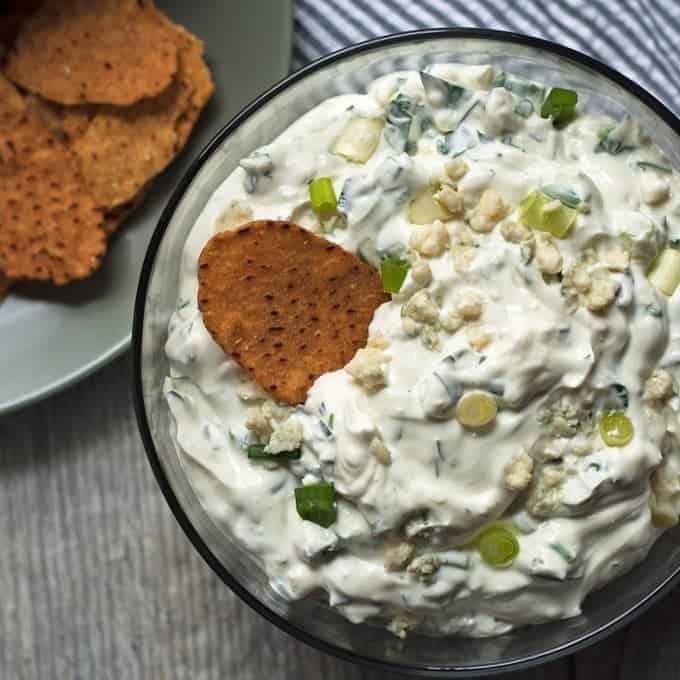 All of the flavors of my blue cheese dip recipe are really balanced and make this the perfect appetizer for any parties you host or attend. Never arrive at a party empty-handed! Next, you need to bring a fun dip. I created this delicious blue cheese dip recipe after eating a few bags of sweet potato flavored chips; I wanted to compliment the chip flavors instead of accentuate them. You can prepare this blue cheese dip the day before and chill it overnight or a few hours before your gathering. I suggest chilling it for at least 2 hours so that the flavors have a chance to come together. Depending on how much you love blue cheese, feel free to add or decrease the amount. We are big blue cheese fans so I will often sprinkle some additional blue cheese crumbles on top. We also have used this creamy blue cheese dip for wings. It’s a little chunky but sticks to wings nicely. If you want a blue cheese dip that is more creamy, add another 1/2 cup of sour cream. What kind of blue cheese should I use? There are many different kinds of blue cheese. Some of my favorites include Roquefort, Gorgonzola, and Stilton. For this recipe I recommend using a semi-soft, crumbly blue cheese like the ones above or Danish blue cheese. You can find any of them in the cheese section of your grocery store. 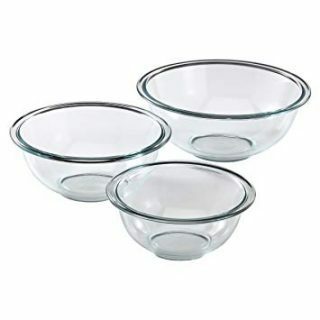 What should I serve with blue cheese dip? I am a big fan of serving this easy dip with tortilla chips – especially specialty chips made from sweet potatoes. Fresh veggies like carrots, celery, and cucumber is another option. 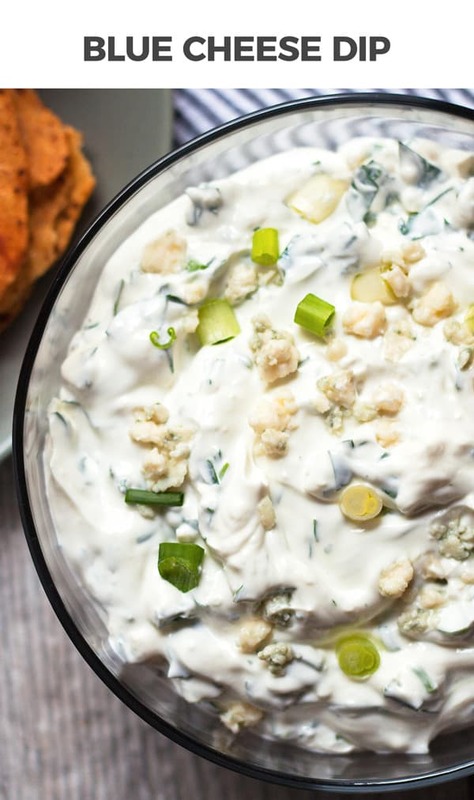 You can also use this dip as a substitute for blue cheese dressing when serving chicken weeks. It is especially great with chicken wings tossed in buffalo sauce. 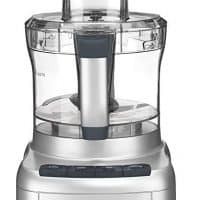 In the bowl of a food processor, combine the cream cheese and sour cream until smooth. 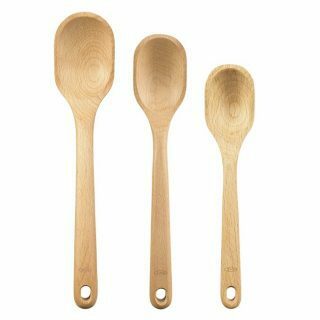 Add the remaining ingredients and stir well until combined. Cover and chill for 2 hours before serving. 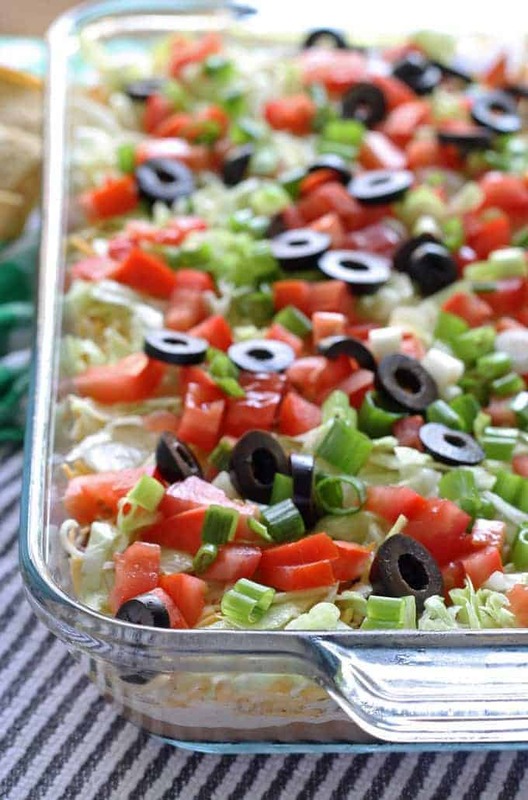 or this 8 layer taco dip! I love meeting other blue cheese lovers!! 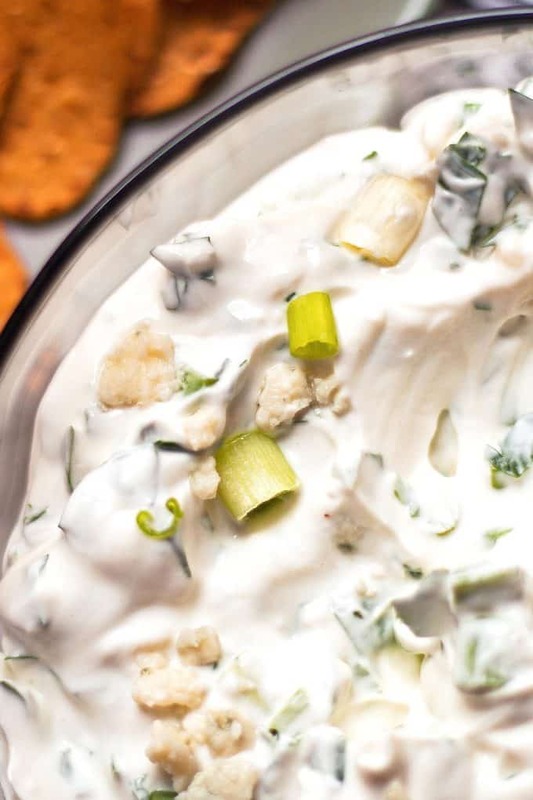 As a bonafide blue cheese lover, this dip has to HAPPEN and SOON! So creamy and delicious – I could eat that whole bowl myself! I’m so glad to meet another blue cheese lover!! This looks amazing! I love those chips too! They are my favorite! Thank you Michelle! Those are my favorite chips ever! I buy a couple packages every time I am at the grocery store…they are a staple here! 🙂 And your blue cheese dip looks party worthy to me. Actually I could snack on it all afternoon…I don’t need a party. I’m very much addicted to blue cheese! “Hello” gorgeous. I could face plant in this bowl of creamy deliciousness. This dip looks awesome! I love FSTG chips – I need to look for those sweet potato ones. Yum! The sweet potato ones are my favorite – I can’t stop eating them!! This dip looks SO GOOD! Can’t wait to try it out this holiday season! Pinned! This looks and sounds so delish! Love it! Thanks for linking up with What’s Cookin’ Wednesday! 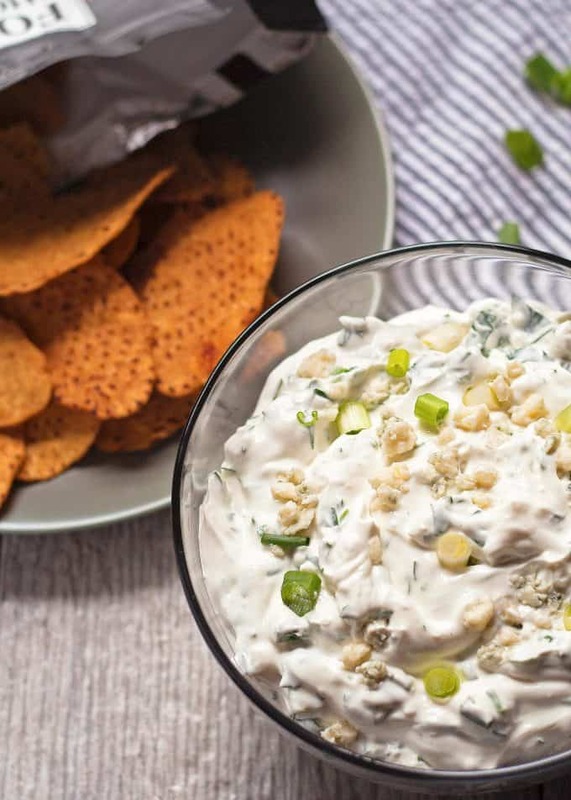 Why have I never thought to use bleu cheese as a dip! Genius!! I love sweet potato chips and this blue cheese dip looks like a yummy addition. Thank you for linking up to the Creative K Kids’ tasty Tuesday, I can’t wait to see what you come up with next week. oh wow!! Sweet potato chips with blue cheese dip – sounds so good!! Thanks for sharing on the What’s for Dinner link up and don’t forget to leave a comment at the party – Next week’s features that also leave a comment get pinned and tweeted! Yum! This dip looks so great. 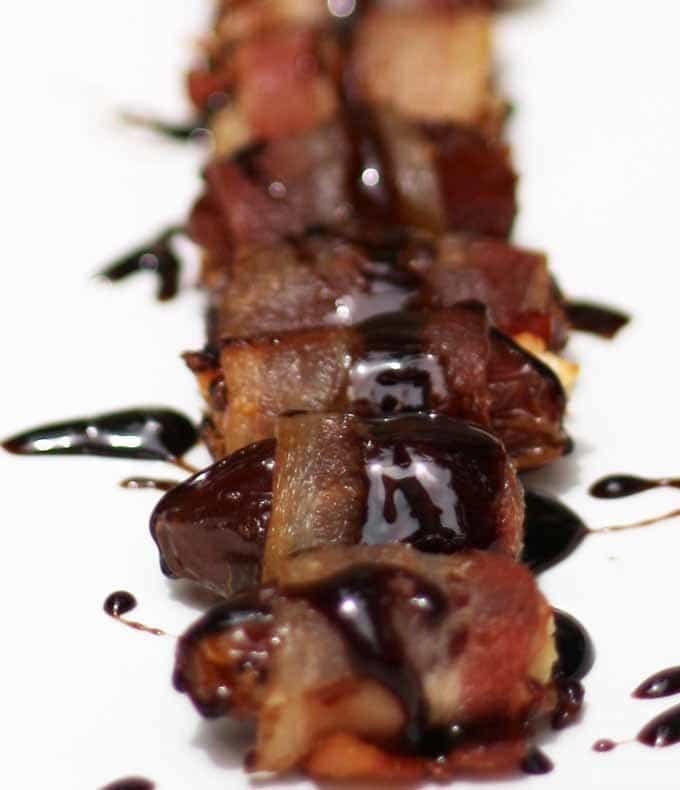 Perfect for the holidays, but I can also see throwing it in the cooler for an awesome football tailgating snack. Thank you for sharing on Family Joy Blog Link-Up Party this week. Thanks for sharing your recipe at Craft Frenzy Friday at Mom Home Guide! It looks great! We tried this for Christmas. Served it with raw veggies, pretzel chips, and potato chips. It is in one word: addictive!!! My husband had leftover buffalo chicken pizza and used this dip to dip it in and he said it was perfect. If you have a blue cheese lovers in your life, make this for them. It’s awesome!